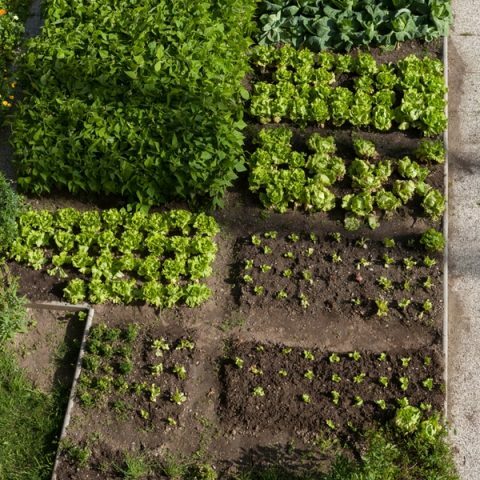 Container gardening is an awesome way to garden, but in a more manageable space. If you live in an apartment or don’t have gardening space, container gardening is the way to go. 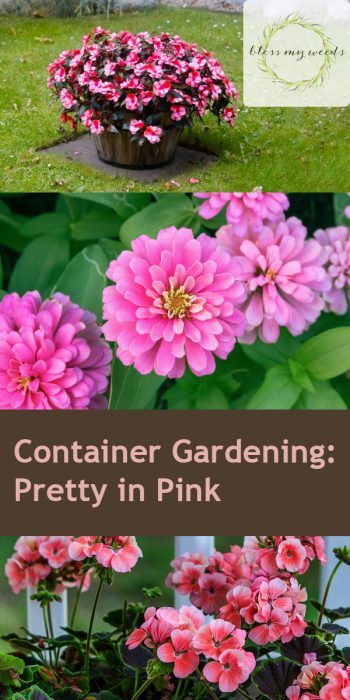 Today we are going to focus on pink flowers for container gardens. Pink flowers are popular because of the variety you can find, plus the shades of pink flowers can range from light to dark. Take a look at the best pink flowers for container gardens! 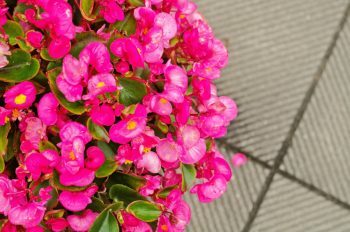 Pink begonias are perfect for container gardens! Begonias have long been a favorite of many gardeners for their abundant flowers on waxy green leaves. 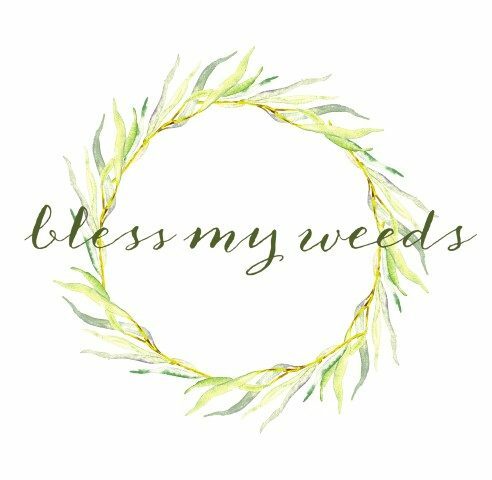 They grow 6-12″ tall and are quite manageable either indoors or out. They love warm temperatures best and will thrive outside during the summer months! 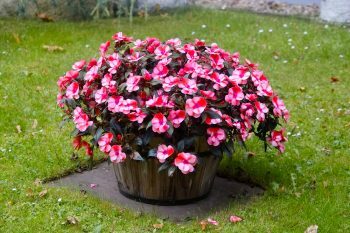 Impatiens will grow nicely in a container garden, or in a flower bed, so your options with this one are pretty endless. So are the color options! Get Impatiens in everything from lighter pink to fuchsia, and solids to stripes. Impatiens will bloom for months, and that’s part of its wide appeal. Look for varieties with leaves that have splashes of yellow or red for more interest. 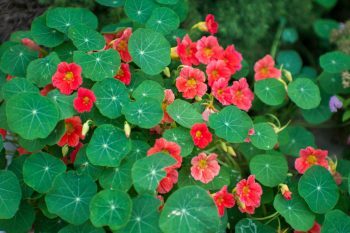 Nasturtiums are an easy to grow annual graced with showy flowers in red, orange, yellow and bright pink. There is a vining variety that will extend from 3-6′, so provide something for it to cling to if you choose to use it. Nasturtiums love anything from full sun to light shade. It blooms during spring and fall, taking a break in the hottest part of the summer. I can’t forget pink zinnias! Zinnias are known for their bright, single or double flowers in a wide range of colors. 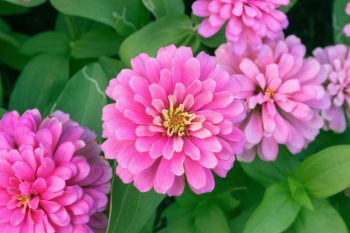 The zinnia is prolific and will flower from the time you plant it until the first frost. Zinnia varieties will grow anywhere from 12″ to 18″ tall. 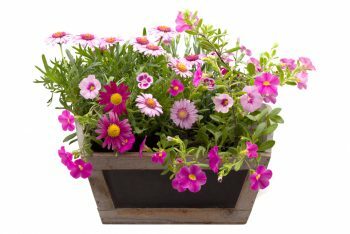 Have fun with these pink flowers for container gardens. Do you have a favorite I didn’t mention? Please share in the comments!